Face book has acquired Face.com for an undisclosed amount, the Israeli start up announced Monday. The terms of the deal have not yet been disclosed. 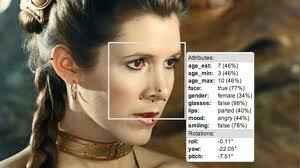 Face.com powers facial recognition software that third-party developers can incorporate freely into their own apps. It also has two Facebook apps of its own: Photo Finder, which helps people find untagged pictures of themselves as well as their friends, and Photo Tagger, which helps people quickly assign tags to group photos.